Antibodies are blockbusters and used for treatment of cancer, autoimmune, eye and infectious diseases. Currently, there is an intense interest in development of the next-generation of antibodies with fine-tuned effector functions including extended serum half-life. In addition, albumin is increasingly utilized as a carrier to extend the serum half-life of fused or conjugated drugs. To design therapeutics built on antibodies and albumin, it is crucial to tailor their cellular transport properties and half-life. However, it has not yet been straight forward to predict how differences in structural features are affecting serum persistence. In a recent study published in Nature Communications on 12 February (impact factor 12.1), establishment of a novel in vitro cellular assay is reported, which can be used to gain in-depth insights into how antibodies and albumin variants are transported in and out of cells, and to predict how efficiently such molecules are rescued from intracellular degradation. The assay has been coined HERA and stands for human endothelial cell-based recycling assay. 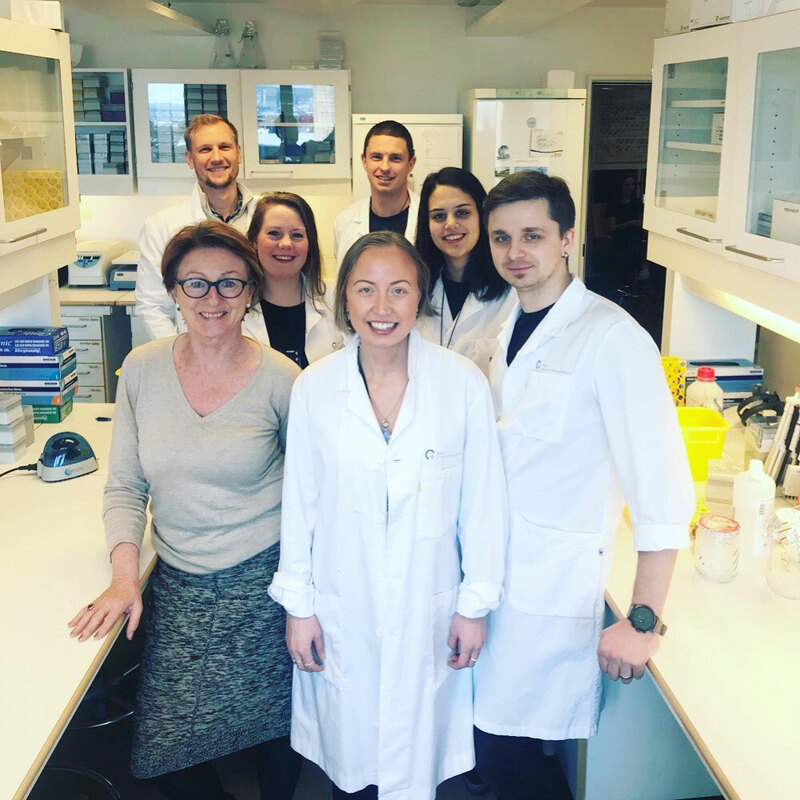 The study is based on research conducted by scientists from the Laboratory of Adaptive Immunity and Homeostasis, headed by Jan Terje Andersen, at OUH and UiO, together with several international collaborators from Harvard Medical School, The Jackson Laboratory and Roche Pharma Research and Early Development in Munich. Jan Terje Andersen, commented “To establish HERA has been a long exciting journey where teamwork has been the key to success. I would also like to stress the importance of international collaboration with both academic laboratories and the industry. We strongly believe that the assay can be of great value, and we are currently using it for a range of projects that already have given very interesting and surprising findings that we hope to share very soon. We are thankful for support from the Research Council of Norway and the South-Eastern Norway Regional Health Authority”. IgG and albumin are two major serum proteins that share a remarkably long half-life of roughly 3 weeks in humans. These unrelated proteins have evolved to bind a cellular receptor, the neonatal Fc receptor (FcRn), which rescues both from intracellular degradation due to a recycling mechanism. As IgG and albumin are used in many therapeutic applications, their interactions with FcRn offer opportunities for tailoring of cellular transport as well as serum half-life by protein engineering. The authors used a range of assays combined with HERA to study a panel of engineered human IgG1 variants with mutations in the Fc region that alter FcRn binding kinetics. So-called HERA scores were determined for the human IgG1 variant based on their cellular transport properties. In parallel, the serum half-lives of the antibodies were measured in a state-of-the-art human FcRn transgenic mouse model. Importantly, the findings revealed that there is a strong correlation between the HERA data and the serum half-life values. Similar results were obtained for human albumin variants with altered FcRn binding properties. The authors demonstrate that HERA is a fast and convenient streamlined assay, and as such may be an attractive tool for screening and ranking of not only monoclonal IgG antibodies, albumin and engineered variants, but also other formats such as anti-FcRn blocking reagents, Fc and albumin fusions as well as immunoconjugates prior to studies in animals. The HERA-team. From left in front: Inger Sandlie, Malin Bern and Algirdas Grevys; in the middle: Kine M.K. Sand, Jeannette Nilsen; in the back: Martin B. McAdam and Stian Foss. Foto taken by Heidrun E. Lode. A human endothelial cell-based recycling assay for screening of FcRn targeted molecules. Grevys A, Nilsen J, Sand KMK, Daba MB, Øynebråten I, Bern M, McAdam MB, Foss S, Schlothauer T, Michaelsen TE, Christianson GJ, Roopenian DC, Blumberg RS, Sandlie I, Andersen JT. Nat Commun. 2018 Feb 12;9(1):621. doi: 10.1038/s41467-018-03061-x.